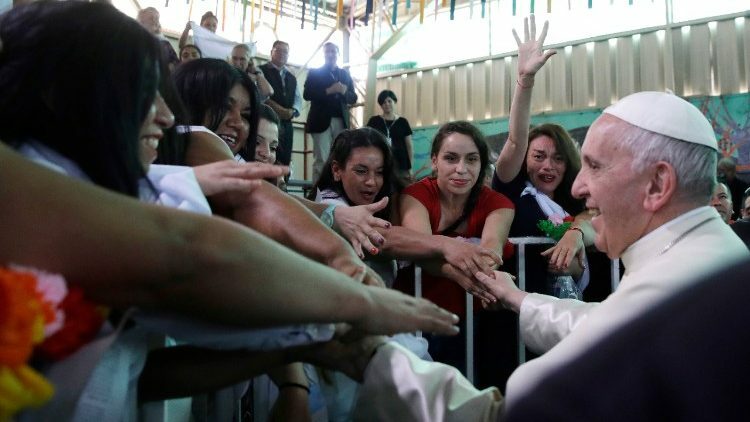 Pope Francis has visited inmates at San Joaquin's Women's Penitentiary Center in Santiago. It is the first time the Pope has visited a female prison. On the first full day of his visit to Chile, Pope Francis spent time with inmates at San Joaquín women’s prison in Santiago. It is Chile’s largest female penitentiary and hosts some 650 inmates, most of whom have convictions for drug trafficking. The majority of women in San Joaquín prison are mothers. The children can live with them inside the jail until they are two years old and after that they can come for weekly visits. The Pope met with around five hundred prisoners, together with the chaplains and a religious sister in charge of pastoral care for the inmates.